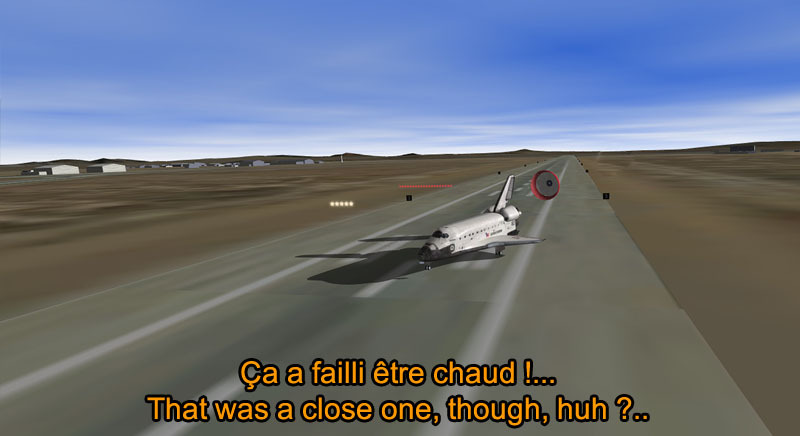 (Here is the French Version). 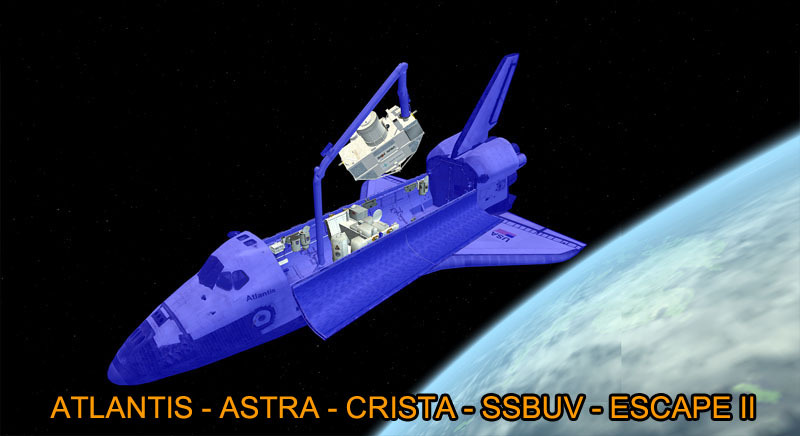 It is the third and the last flight of the Atlas laboratory with a Shuttle (Atlantis). 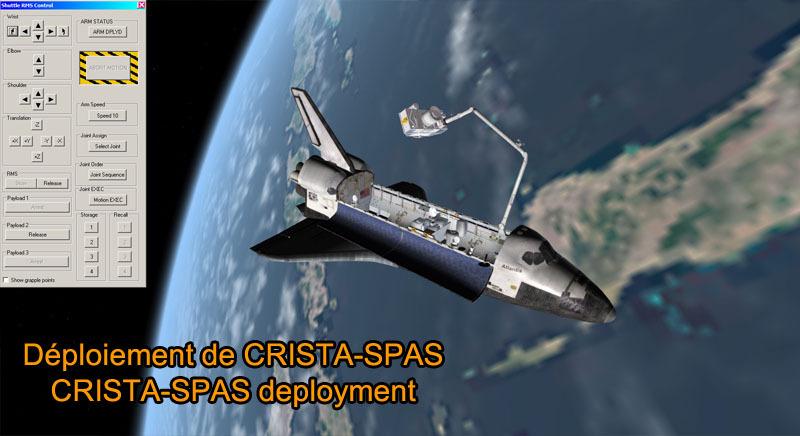 The second main objective of the flight is to deploy from the Cargo bay the SPAS CRISTA platform equipped with a set of telescopes and instruments that must study the Sun and the chemical composition of the upper atmosphere, and do research on long wave ultraviolet, and then to recovered it. 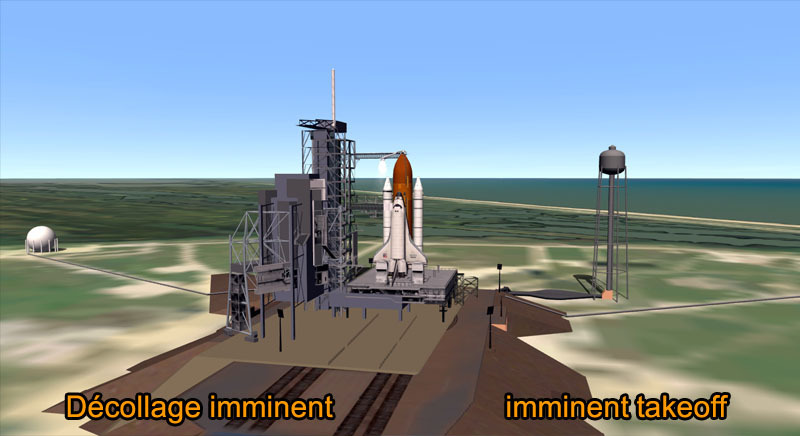 Launch is scheduled on the 3rd of November 1994 at 16:59 TU, from the 39-B PAD at Kennedy Space Center. 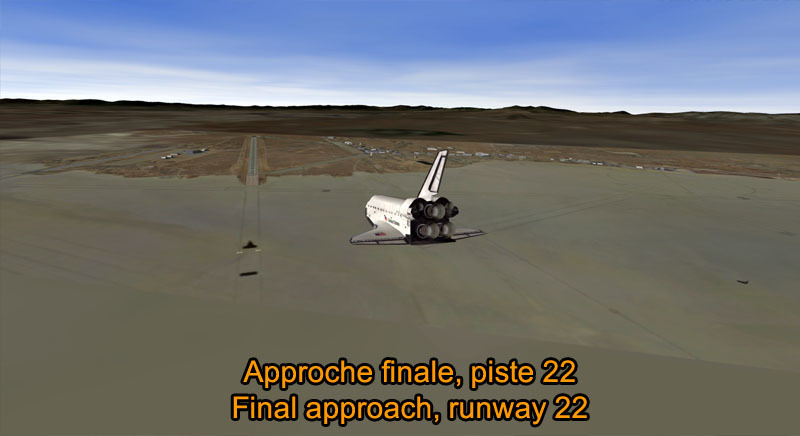 The Landing of Atlantis was planned to the Kennedy Space Center. 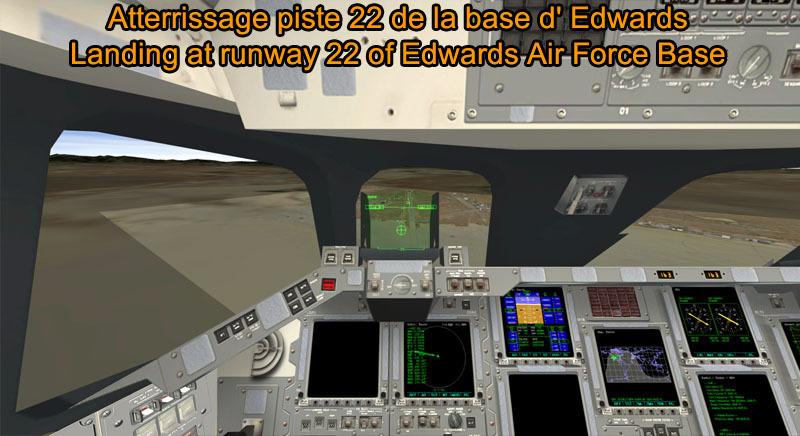 But, due to wind and rain resulting from a tropical storm, it was turned away to Edwards AFB. Simply unzip the zip file into the root folder of your Orbiter. Please read all the documentation that is full of lovely images. 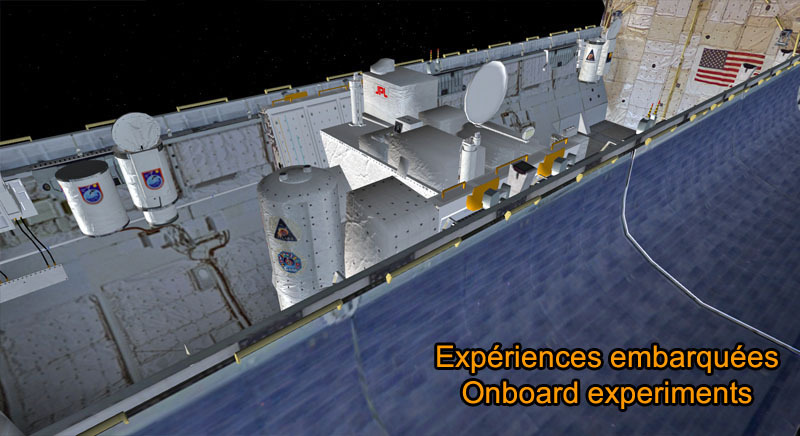 There are also some explanations about the mission. Fixed sénario 1b (for the gateway). 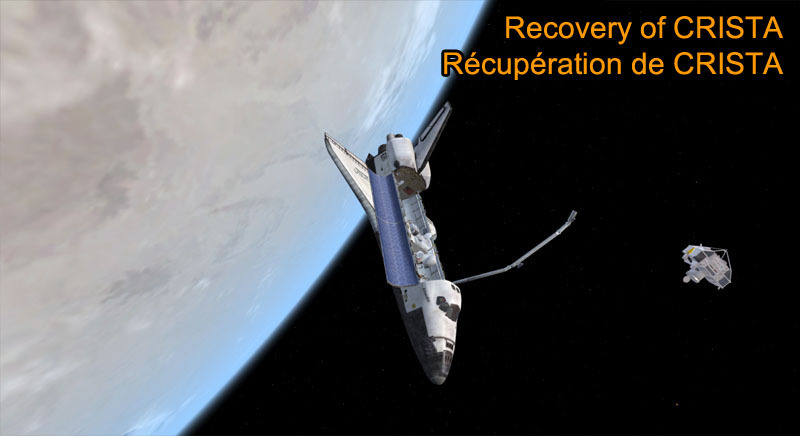 Documentation and scenarios in Englis (only on O.H. ).